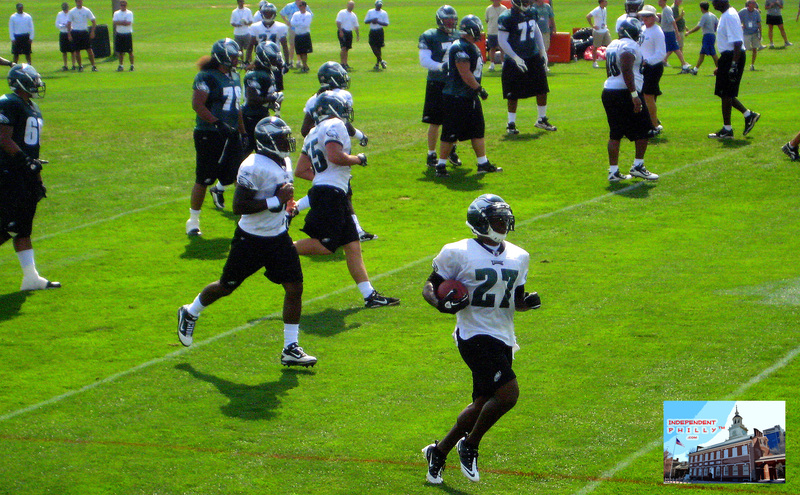 The heat did not stop the crowds from coming to watch the Eagles wrap up their final two-a-day practices of training camp in anticipation for the 2010 – 2011 season. Seventy-nine players took the field yesterday, but that number will drastically change in the upcoming weeks. As it was my first time at training camp this year, it was strange not to see that red number five; however, it was exciting to see a change after 11 years. 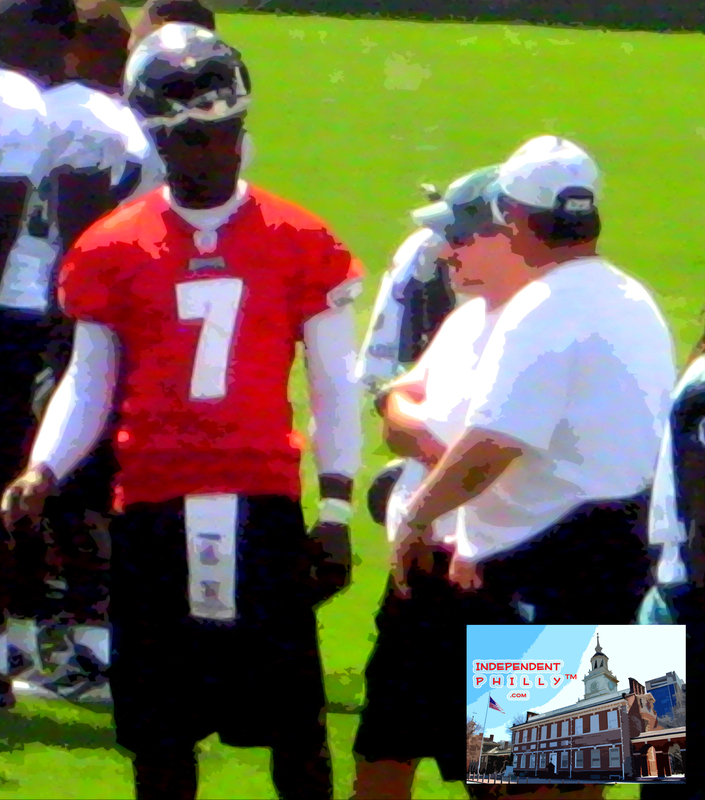 How Will The Eagles Utilize Michael Vick This Season? 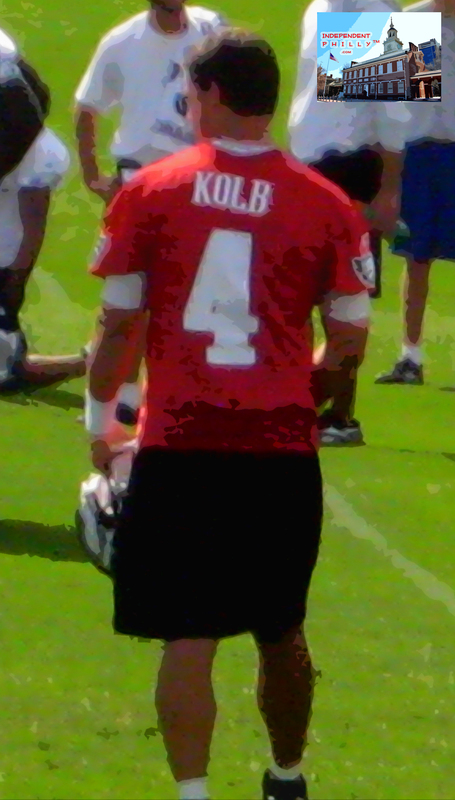 Kevin Kolb looked sharp, hitting receivers in stride most of the time. 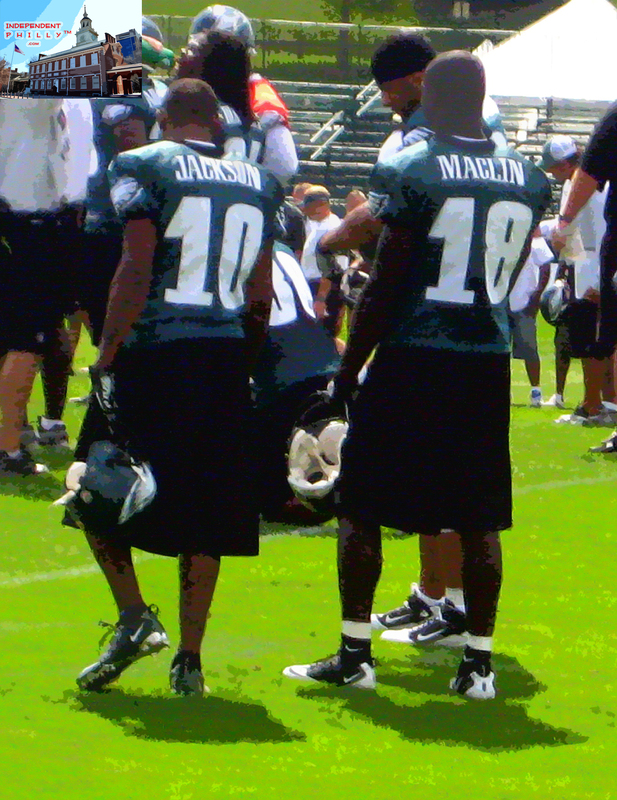 As good as Kolb looked, I wish I could say the same for Mike Vick and Mike Kafka. Even with Asante Samuel and Ellis Hobbs out, the first team defense picked off Kafka and Vick on consecutive plays in the 11 on 11’s. On the injury side, there was no sign of Todd Herremans in the afternoon practice, so Max Jean Gilles was starting left guard and Mike McGlynn was still starting center. Talking to other reporters, it didn’t sound like Asante Samuel’s hamstring was of any real concern compared to Ellis Hobb’s intake of “bad cereal” which caused him to miss practice. Overall, the first team offense and defense looked good with depth in certain positions, and we should expect to see a much-improved team this season. The Eagles play their next pre-season game this Friday night against T.O., Chad Ochocinco, and the rest of the Cincinatti Bengals.